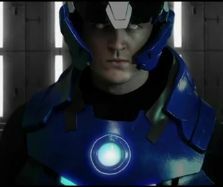 You don't need a huge budget to make an excellent videogame movie, and this fan-crafted Mega Man X homage proves it. Alright, in fairness the "movie" is only four and a half minutes long, but given the fact that it cost only slightly more than a launch-era PlayStation 3 to make, and still manages to evoke a brilliant sense of the Mega Man X game world, I'm going to give it a pass. Besides, I think we've all realized that Hollywood, with its millions of dollars and theoretical creative ideals, is totally incapable of doing any better. The reason I chose to use Protoman, was for the mystery surrounding him it's never officially said what happens to him. This is important, because it's the best indicator that Rogers is both a fan of the Mega Man X series, and knows how to expand on established canon without breaking down what Capcom already built. Unlike the vast majority of Hollywood's game adaptations that cherry pick whichever parts of a game's plot that any given director prefers in the interest of spinning a tale almost unrecognizable to the existing fanbase. Super Mario Bros., I'm looking in your direction. Anyway, enough Hollywood bashing. Propers to Olan and his dedicated troupe for putting together the best Mega Man X movie in existence. Sure, the movie wins that award almost by default, but that shouldn't detract from the excellent work here.